Coming round from Houns Tout on the second day of my Coastal Footpath walk, I can't say I was overly impressed with Kimmeridge Bay; the dark shales on its foreshore were dull and uninviting to the eye. Stepping down, along the shore, after being aloft on Purbeck limestone, was also disappointing - there are fewer wide vistas from the water's edge. This part of Dorset though, is perhaps among the more intersting parts of the 500 mile walk from Poole's Sandybanks Ferry to Minehead in Somerset - five or six weeks away. 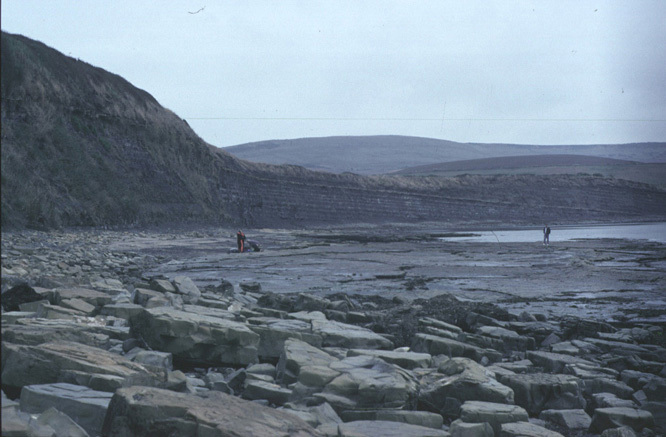 Kimmeridge Bay shales hold oil and ammonites. 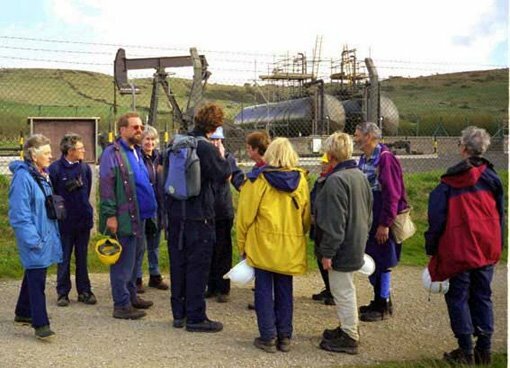 Fossil hunters and fossiil fuels don't strike you as comfortable neighbours - they are here. 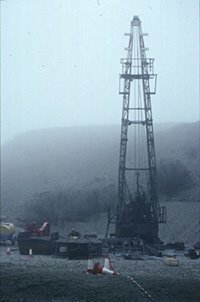 The donkeys drawing oil up out of the shales beneath, do not really impinge upon the bay, except visually. I didn't find any ammonites - probably because I didn't look hard enough. When you've got a destination to head for, a few fossils beneath your feet don't seem as significant or intersting as they may do when you are taking things at a more leisurely pace. And if you want to complete that walk, the one thing you rarely have is a leisurely pace.